the P Union is second in the group East table with 26 points in the 18 games they have played, four points below New York City Fc and two points above Montreal Impact whereas DCUnited are fifth on the table with 21 points in the 16 games they have played, two points below NY Red Bulls and one point above Toronto FC. 10th July 2016 at 04:30 (IST). Talen Energy Stadium, Philadelphia, United States of America. Philadelphia has won seven games, drew five and lost six out of the 18 games they have played, scoring 29 goals and conceding 26 in total. They are second and need to move on if they want to go on and get to that first position on the table as they are four points below the league leaders and have played one game less than them. Let us take a look at their stats throughout this season, they have made 373 interceptions and have created 209 crosses with an accuracy of 22%, and they have won 229 fouls also. 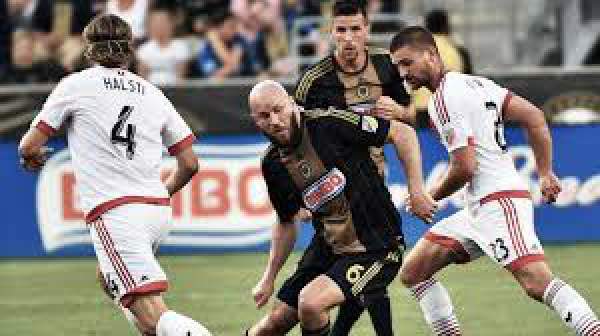 Both these teams have met 19 times before and out of that Philadelphia have won eight times and DC U have won eight times, and three were draws. Both these teams are very equal in talent, and any team could go on and win this one. United have won five games, drew six and lost six in the 17 games they have played till now, scoring 17 and conceding 17 goals in total. DC U won against Philadelphia in 2015 season when they beat them by 3-2 and then again in that season by 2-1. In this season, however, these teams have met one time and in that P Unionwon by 1-0. They have made 333 interceptions; they have crosses the ball 194 times and out of that they have had an accuracy of 22% and have also won 229 fouls. Ilsinho, Blake, Fabinho, Yard, Rosenberry, Marquez, Alberg, Carroll, Barnett, Creavalle, Pontius. Espindola, Hamid, Opare, Franklin, Kemp, Boswell, Sarvas, Acosta, Neagle, Deleon, Saborio.